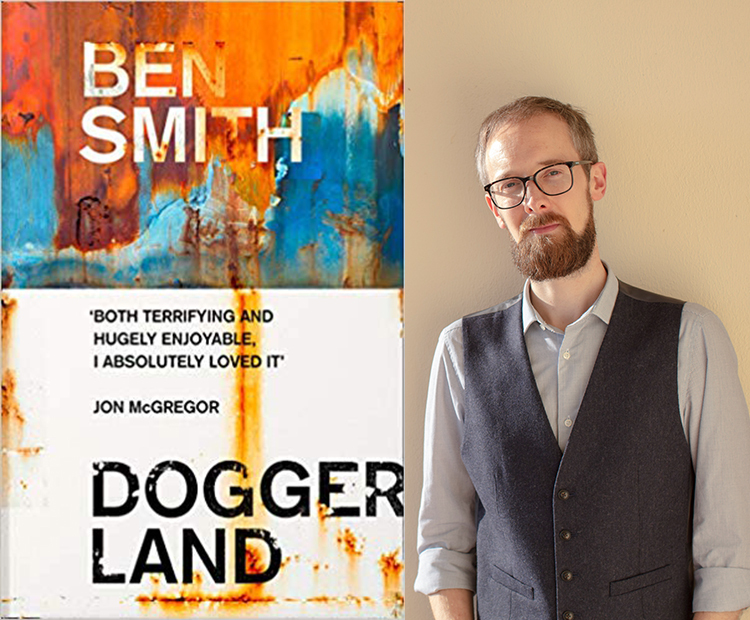 Here at Literature Works, we’re really interested in literature which draws on the environment and a sense of place, that’s why we were delighted when Ben Smith’s debut novel Doggerland landed in our office. Here is the complex and intriguing story of two lonely souls, bound to a life of servitude on an imposing wind farm governed by the enigmatic ‘Company’. So, we are thrown into the world of the novel and as much as it feels other for its near-future dystopia, it is difficult not to draw from it the chilling similarities to the ailing landscape can see all around us. Caught in this strange place of metal and water, ‘The Boy’ and ‘The Old Man’, two of the novel’s cast of three, cannot but feel beholden to the routine that the harshness of their environment imposes upon them. The prose, for all its economy and deft use of environmental language is the major triumph of the novel. In his considered approach to storytelling, Smith encourages the reader to take the ‘facts’ presented and infer the story – much as ‘The Boy’ relies on his manuals and machines for daily reports. Although the readers is given kernels of the story line – the characters do, in fact (of course), have names and there is mystery surrounding not only the characters’ current situation, but also that of ‘The Boy’s’ father, for example – much that comprises traditional story telling is stripped back here and what we are left with is a novel which explores what it is to be human and what motivates us to connect with others. It is impossible too, throughout the novel, to forget the agency of the water. It is most definitely a living thing, a pseudo-character even and, as is shown in the clever interspersions of historical background which are woven into the text, it has dominion and will endure much longer than any of the human elements which are present. As much as this is human story therefore, it is also the story of an ailing planet, which explores the effects of man’s actions on the world. In trapping these two characters in their watery crucible, it is almost as if ‘The Boy’ and the ‘Old Man’ are paying reparation on behalf of humanity at large. This is a novel which provokes thought, unsettles and challenges readers. A compelling read which is highly recommended. Doggerland is out now, published by 4th Estate. We caught with Ben to discuss his novel and to talk about why 'place' has always been important to him. You’re interested in exploring the potential of words to express the current geological landscape. Throughout the novel, humanity is almost dwarfed by the environment, by the sea and by the desolate stretch of land where the rig is situated. Characters have names, but are more commonly referred to as ‘Boy’ and ‘Old Man’. Can you tell us a bit about this technique and its importance to the plot? I wanted to explore the idea of scale, setting the human story against a geological time scale and the changes in the landscape. I was also interest in the decay rate of man-made elements against the landscape – metals and the degradability of plastics and thinking about human responsibility for this. By using the identifiers ‘Boy’ and ‘Old Man’, the characters become figures in the landscape and are subject to it. I was also interested in the notion that if you are around one person for an extended period of time, you don’t always use their name. There is a certain strangeness to names and the way that after a while it is almost as if we don’t register our names. Instead other characteristics such as age come to the forefront, which makes for an interesting story, one which focuses on generational differences and the tensions these can create. What inspired your interest in notions of climate and geological concerns in your work? I have always been interested in the landscape and in place. I think that people are created, or informed by the places they are from. This seems to be the case particularly on a local level. Our locality can be defining and the impact of changes in our personality therefore before more obvious as we change our geography. Previously, I explored notions of these themes through poetry, I have only recently applied these ideas to fiction. 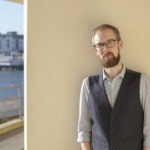 I feel that is a broad scope for exploring the landscape as a more active agent in fiction, which is something that I admire in the work of writers such as Melissa Harrison and Gregory Norminton. There is a tendency for setting to provide a static background to the plot, whereas in my work it is very much active. Can you say a little about the function of the interspersion of the historical narrative of Doggerland in the novel? To us, it almost felt like they were breathing life into the sea as character in the novel. How far would you agree with this? The historical passages were always a part of the plan from the outset. Again, for me, it was about the notion of scale: I wanted to provide a non-human scale through which the human narrative could be read. I also wanted to highlight the fact that as humans, there are certain things we can do to remedy the current environmental situation, even if those actions only make a small impact. The history of Doggerland also shaped the novel’s narrative arc. The fact that there were once sections which were only land informed the scenes where the ‘Old Man’ begins collecting soil samples for example, whereas the time at which Doggerland was flooded and essentially a series of islands informed the scenes where ‘The Boy’ travels around the wind farm by boat. As much as the novel’s focus is on the environment, there is also a very human story at the centre of the plot. Can you tell us a little about why you chose to focalise on two characters? My interest in these characters was on the basis of exploring generational differences and to a certain extent, the mirroring of circumstances. ‘The Boy’s’ father is absent for the novel and so, as is natural, he looks to the ‘Old Man’ to fill that role for him. On another level, the idea that he is fulfilling his father’s obligations demonstrates the mirroring working on another level. I suppose you could say that the narrative style is inspired by dramatic writing. There is the practice in this form that you should only use the characters you absolutely need to tell the story. In fiction there is the potential to have an endless cast of characters, but I really admire the work of writers like Beckett and Cormac McCarthy. There is an economy to their storytelling which is powerful and inspiring. I was also interested in exploring the idea of long standing friendships and how we sustain these, that’s something that I wanted to explore in the novel – the endurance of human relationships. As the south west’s literature development agency, we like to ask writers what it’s like to be a writer in the region? What does a ‘writing day’ look like for you? As a writer and academic, there isn’t really a typical writing day. I do like to write in the mornings, before breakfast. Hemingway always advised to finish writing each day at a point where you know what’s going to happen next and you are looking forward to writing the next scene. So I normally try to write for a good three to five hours, get to that point and then spend the rest of the day catching up with other work. My ideal writing day would finish with a surf in the late afternoon, if the tides, waves and winds are right. If you could give one piece of advice to writers who are working on their first drafts, what would it be? I would say, get a draft done as soon as possible – that way you can see the story as a whole. Don’t be too concerned with creating perfect characters or beautiful settings right away, focus instead on the story.